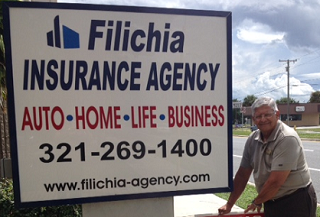 Titusville, FL Office - Filichia Insurance Agency, Inc. The Hometown Office of Filichia Insurance Agency, Inc. Since the 1980s, Filichia Insurance Agency, Inc. has diligently worked to build a reliable agency that our neighbors in Titusville, FL will trust for years to come. A second-generation, family-owned business, our team is close-knit, both with each other and the community. The relationships we build solidify our position as the area’s top insurers, focusing on unbeatable customer service as much as quality insurance product. Titusville is special to us and has been a wonderful place for the Filichia family to grow. Properly securing the community with the utmost care is our way of giving back to the neighbors who have shaped the city into the destination it is now. Too often, insurance is watered-down in an attempt to apply a generalized policy to a product that is inherently distinct. While it’s no secret that providing personalized service to each customer is the key to a successful agency, consistently implementing this practice is rare. At Filichia Insurance Agency, Inc., you will always be treated as a unique individual so that your coverage is a perfect fit. Read on for details on our home office in Titusville, FL. The first step in your security is protection for your basic, but most important assets: your house and car. 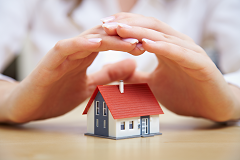 Homeowners insurance and auto insurance are common products, but because they are popular, their quality can diminish. Filichia Insurance Agency, Inc. strives to stand out from the crowd of other insurers through personal insurance lines that leave no risk unaddressed. As the sources of your safety, comfort, and freedom, only a personally tailored car insurance or home insurance policy can keep you totally secure for years to come. Many Titusville residents choose to bundle home and auto insurance, which promises to save time and money. Fill out an online quote form to supply the initial information for us to get started. You can receive an immediate auto quote by clicking here. Titusville is built upon the many businesses in our community that provide excellent products and services. As a part of the business community ourselves, we recognize the potential risks and dangers that can significantly knock your operation off course. This insight, however, cultivates the immense pool of knowledge that helps us to completely secure your operation. Contact us online to set up a consultation on the commercial insurance that will allow you to focus on day-to-day operation while we manage whatever risks come your way. While your livelihoods and important possessions call for proper insurance, we can often overlook protection for ourselves. Health insurance and life insurance are two products that Filichia Insurance Agency, Inc. has worked with for a long time and as a result, we treat these products with extreme care and professionalism. Predicting the future is impossible, but we can work together to make sure that you and your loved ones are well taken care of, no matter what lays ahead. Give our Titusville office a call at 321-926-4674 to begin discussing ways to secure your future. The first thing a customer of Filichia Insurance Agency, Inc. needs to know is that we fully commit ourselves to their needs as if they were our own because ultimately, your satisfaction is our passion and the fuel for a long-running and successful business. Just as our operation is a family business, our customers are treated as members of our agency family. We are fair and honest. Titusville residents deserve an agency that provide top-tier insurance packages at an affordable price. As an independent agency, we have not only the freedom, but the responsibility to carefully shop on your behalf for coverage that makes sense, both qualitatively and financially. Should an issue or claim arise, it will be addressed swiftly and professionally. Filichia Insurance Agency, Inc. has been around long enough that we know the quickest routes to properly managing your risks while still putting the customer at the forefront. Whether this is through education so that you understand your policy, constant communication to keep you in the loop, or the availability to make sure you are well-taken care of in your time of need, we will do what is necessary for the customer’s safety and satisfaction. We invite you to explore more by visiting our About Page, or contacting us online. We also love directly speaking to customers; give us a call at 321-926-4674 or stop by the Titusville office to begin the dialogue. If you’re interested in providing initial information to shape your insurance policy, request a quote today.